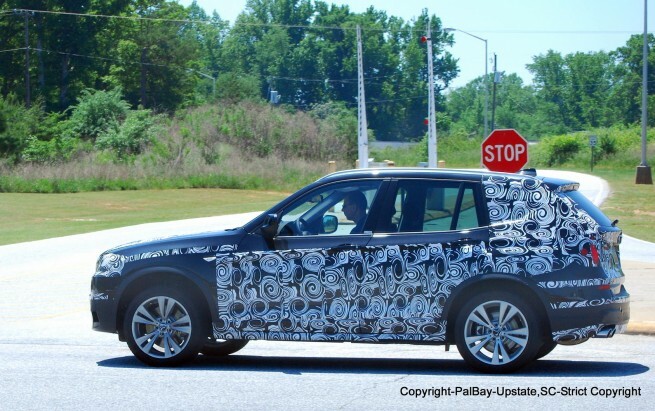 According to our sources, BMW is less than two weeks away from unveiling their latest and second generation BMW X3. Built under the codename F25, the 2011 BMW X3 runs on the next generation 3 Series platform. The video below was captured in Munich by one of those BMW fans that understand and recognize a camouflaged prototype, and decided a call the bomb squad might not be appropriate at this time. In a conversation recently with a BMW official, we learned that the new X3 will maintain its “boxy look”, but it will have more fluid design lines and increased design dynamics. The now usual convex and concave shapes will appear on the new X3 as well, including the more aggressive hood, as seen in the other new models. The headlights will feature an unique design, with the double lamps sporting a more rectangular shape. With sales dropping to just 6,067 X3s in the U.S. last year, BMW is looking to regain its status in the mid-SUV market where the competition from Audi Q5 and Mercedes GLK has been fierce. The 2011 X3, it measures 15.15 feet in length, two inches longer than the current model. The “kicked-up” window line that first saw the daylight in the X3 will be again evident and it will be seen as an X3 characteristic. For the North American market, BMW will bring the xDrive28i and xDrive35i models.